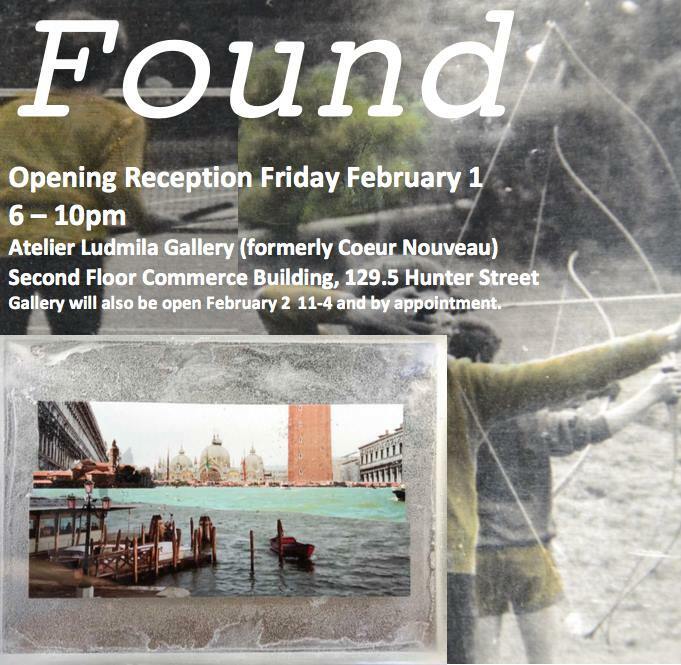 Found is a joint exhibition by Bradley Boyle and John Marris responding to found and ‘re-found’ photographic film. Taking two very different approaches to their subjects Boyle and Marris have engaged with the idea that photographic film and photographs can express their own history and undergo a form of transformation as they are lost and re-emerge. Unlike digital photography that has something of an ‘ever-presence’, traditional film photography can be experienced as something new and ripe for re-interpretation upon its rediscovery. It can ‘mature’ and gain depth in a new context, and help us address our own pasts. Both artists use unconventional artistic approaches to re-configure and re-question what photographs can say and what stories they can tell us in this new moment of discovery. Gallery open for the Art Crawl and each Saturday in February 11am – 4pm.